With 40 casinos across the UK, Genting is one of the largest casino operators. There are more than 300 online games available at Genting, including the latest blockbusters and all your favourite casino classics. With the biggest names in progressive slots, jackpots are regularly +£1million. 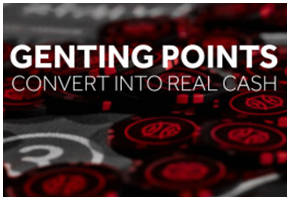 You will start earning ‘Genting Points’ as soon as you join gentingcasino.com and start playing any of the fantastic real money games. If you win or lose, you will still accumulate Genting Points at the same rate. Genting Casino is part of the giant Genting Group which operates land-based casinos throughout Asia, Australia and Britain. 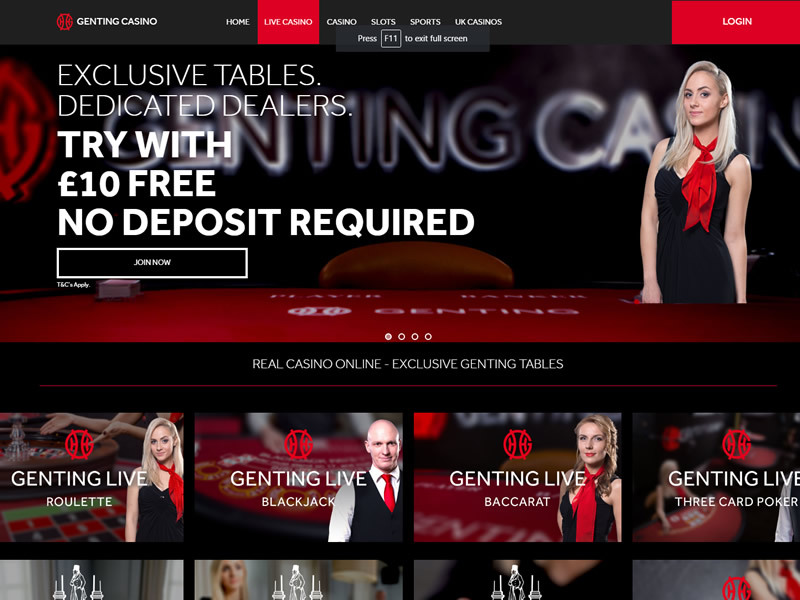 They set up shop in the UK in 2009 and now operate 45 land-based venues throughout the UK as well as running a highly successful online casino. 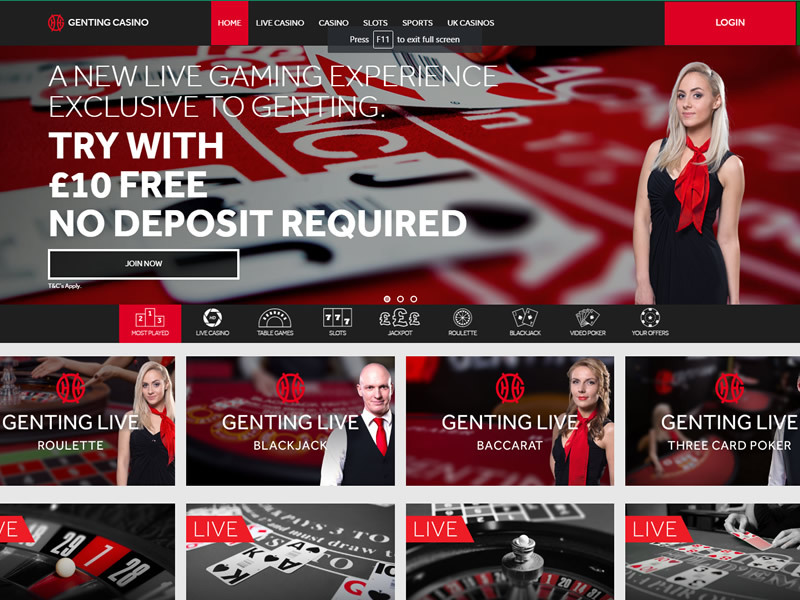 As one of the biggest players in the UK casino scene, Genting is hot as far as customer service is concerned. There are plenty of options if you need to get in touch if required. The first place to look of course is the extensive help section which covers most of the basics such as deposits, withdrawals, bonus offers and the like. Probably the most positive aspect is that due to the size of the company, Genting Casino offers some of the highest table limits available on the internet, and backs this up with a fantastic VIP program, to ensure players of every level are really looked after. Genting Casino is powered by technology from one of the industry’s biggest players, Playtech, so expect smooth visuals and slick gameplay. The selection of 300 slots is accessed via the Slots tab and includes titles from a variety of the online gaming world’s best-known developers, namely Playtech, Ash Gaming, Novomatic, Amaya, Bally Technologies. 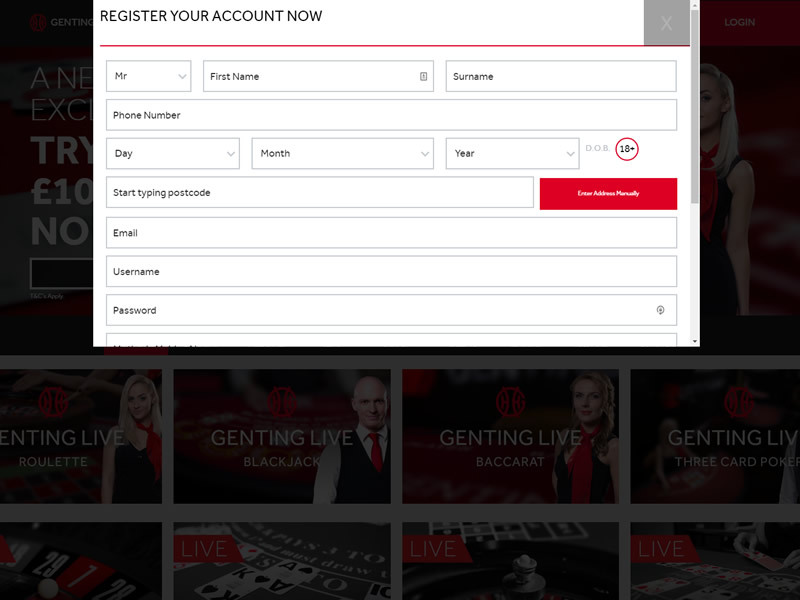 They also added an improved Live Dealer product offering Baccarat, Blackjack, Hold’em, 3-car poker or European Roulette with a choice of Asian or English-speaking dealers. One slight drawback is that Genting Casino doesn’t have the full range of Playtech slot games available, although they certainly have the most important and popular games. 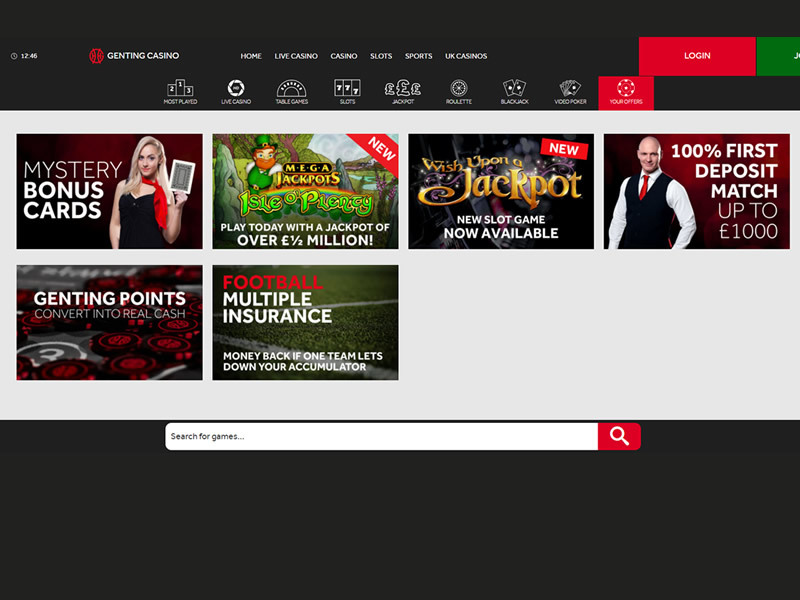 As well as the £10 Free No Deposit Bonus, Genting also offer 100% deposit match offer up to £1,000, exclusively for new players, to get you into the game so no better time to join! 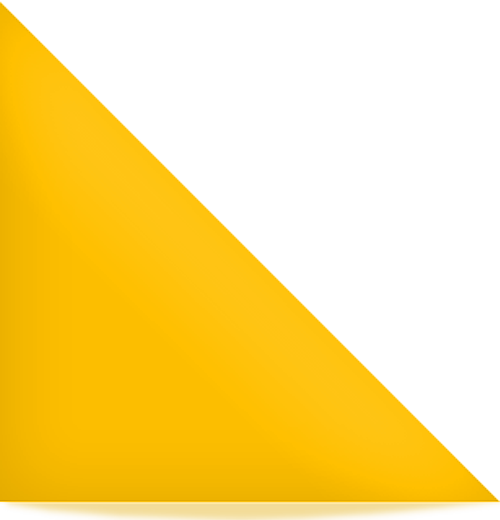 Valid from 17/06/18 to 30/09/18. New players only (first deposit). 100% Deposit Match Bonus from £20 to £200: Min 50x wagering (% game weightings apply), play restrictions apply. Max bonus bet of £5, 15 days to accept & 30 days to complete wagering. Deposited funds locked to casino platform until wagering met. Your own deposited funds can be withdrawn at any time. Real money funds used first. Free Spins: Available after deposit bonus is redeemed/lost, credited as £2 bonus. Dream Catcher only. 1x wagering and Max bonus bet of £5 applies to winnings, 7 days to accept & 7 days to complete wagering, maximum withdrawal from winnings is £200. Bonus funds used first. Further T&Cs Apply.